A quick and easy mid week meal after work, in less than an hour ready to eat. 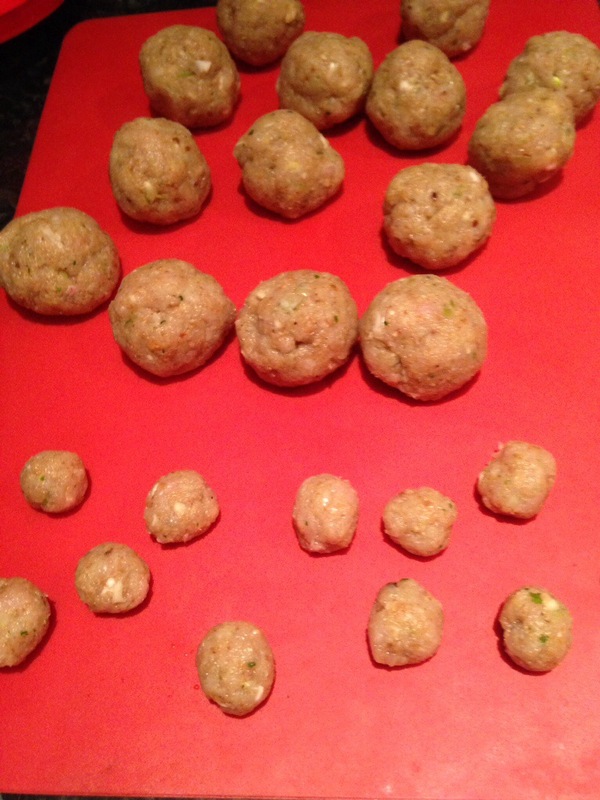 We are making turkey meatballs, Oliver wants to take a warm pack-lunch to school tomorrow so we make them 2 different sizes. Sorry, not measures today, all a bit random! Add to a bowl with 3/4 pack of turkey breast minced meat, 1 egg, salt and freshly ground black pepper. Roll your sleeves and get your hands dirty mixing it all together. Oliver loves doing this job, bless him! !M And shape into balls. Meanwhile to make the sauce, add chopped onion, garlic, red pepper to some olive oil and fry till soft, add a tsp garam masala and 1 or 2 tins of chopped tomatoes, salt, black pepper and a bit of sugar. Let it simmer for about half an hour and blend until smooth. 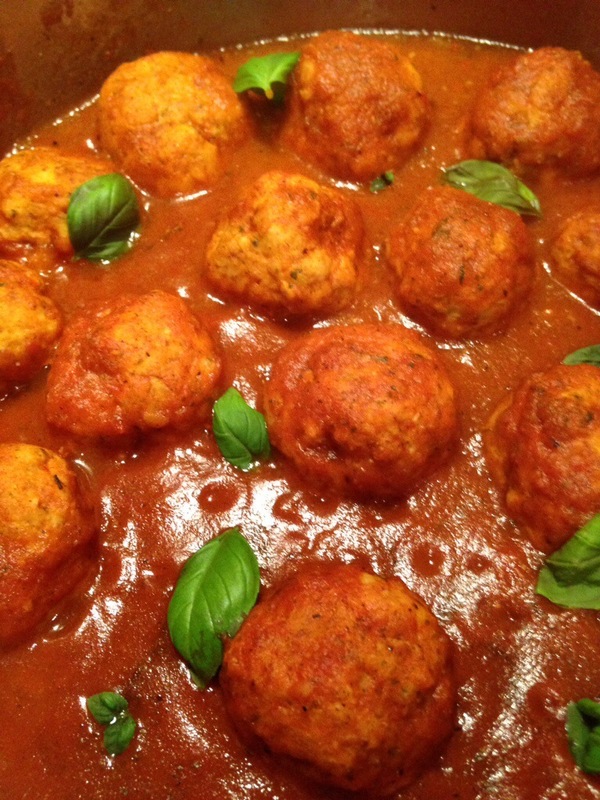 All it’s left to do is place the meatballs in the sauce and cook gently. 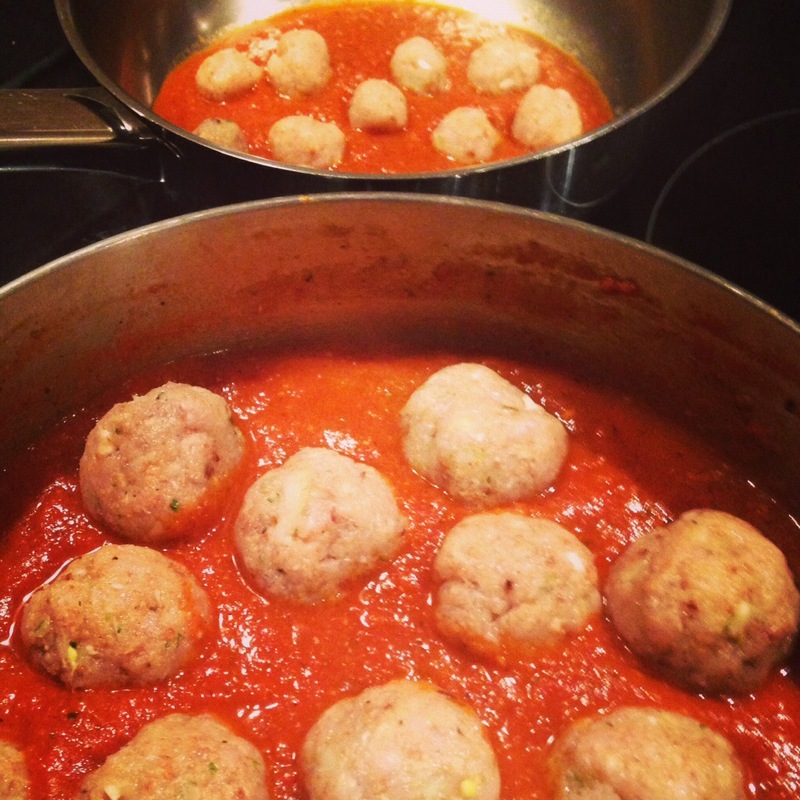 Obviously smaller balls cook quicker. Sprinkle with some fresh basil leaves and serve with pasta and parmesan cheese. Añadelo en un bowl con 400g de carne de pechuga de Pavo picada, 1 huevo, sal y pimienta. Mezclalo bien y haz las bolas del tamaño deseado. A mi me gustan grandecitas. Mientras tanto para hacer la salsa, en aceite de oliva, frie cebolla picada, ajo, pimiento rojo (o verde) hasta que este blando pero no coja color. Añade una cucharada de Garam Masala y 1 ó 2 latas de tomate en trozos. Dejalo a fuego lento una media hora y pasalo por la batidora. Pon la salsa de nuevo en la cazuela y añade las albondigas y a fuego muy lento y sin moverlas mucho o se deshacen hasta que esten hechas. 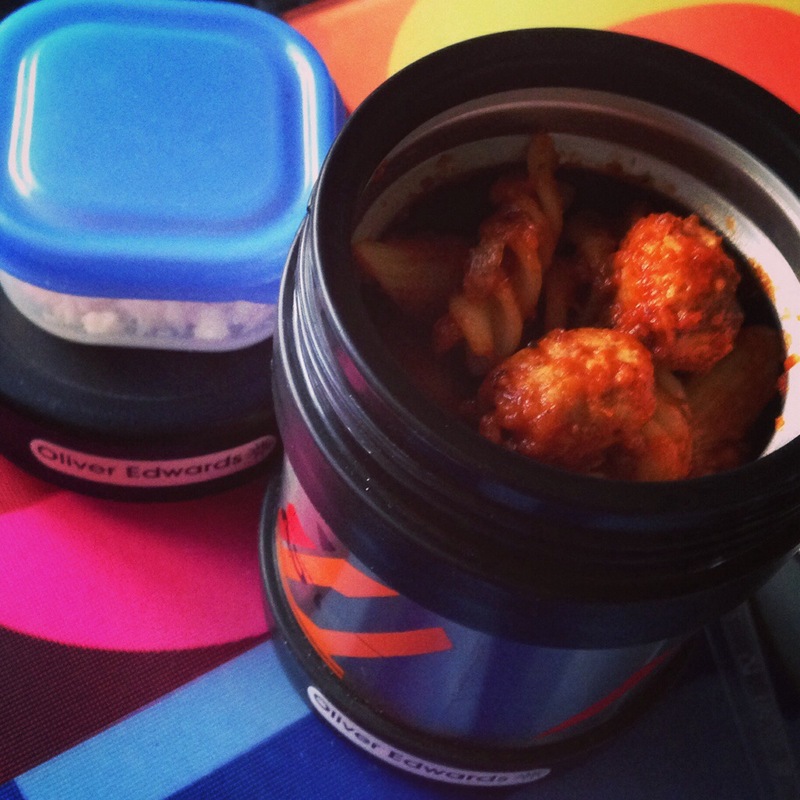 This entry was posted in catering, cooking, fitness, food, gym, health, home, home cooking, italian, kitchen, love, nutrition, small kitchen appliances, spanish, Uncategorized, workout and tagged meals, meatballs, packlunch, turkey, weekday. Bookmark the permalink. Now with the recipe in Spanish too!